Last year we featured Theresa Himmer, a young Danish/Czech artist, who mesmerised us with her stunning work in Reykavik, Iceland. 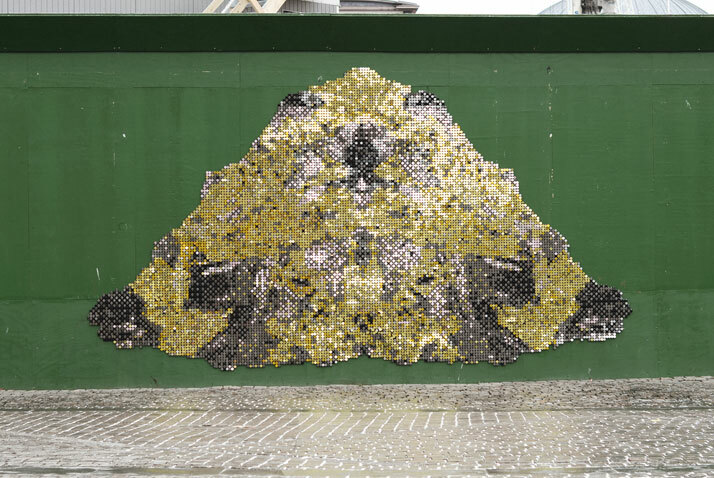 In the equally charming city of Copenhagen, Denmark, ÖRNDUVALD’s new project called Piles is just as compelling because of its beauty and the story behind it. 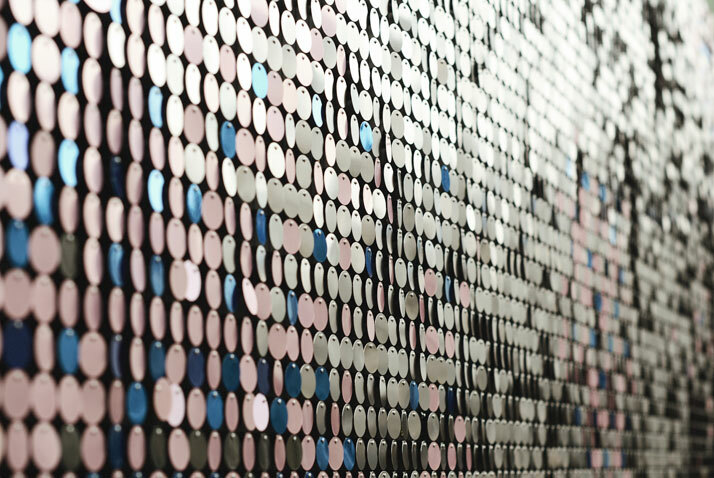 Consisting of three designs made of 45,546 Sequins, they are a magpie's dream. 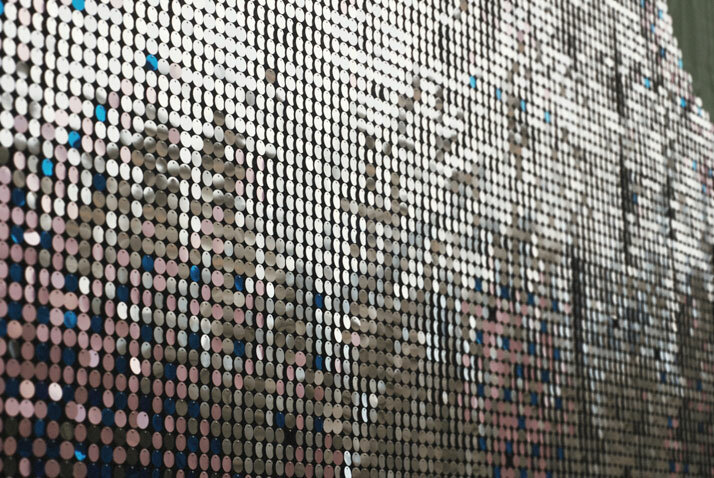 Actually, they are anybody's dream where the sculptured shiny pixels capture the eye and create a sense of magic. They look fantastical and are even more so when you realise that they represent the vast quantities of soil, water and rubble that have been excavated from the Copenhagen underground. Up until 2018, the Copenhagen Metro transit company will be expanding the city’s underground metro line in Copenhagen city-center with 17 new stations. This has resulted in many big-scale construction sites throughout the city, which have however, become integral parts of the contemporary cityscape. 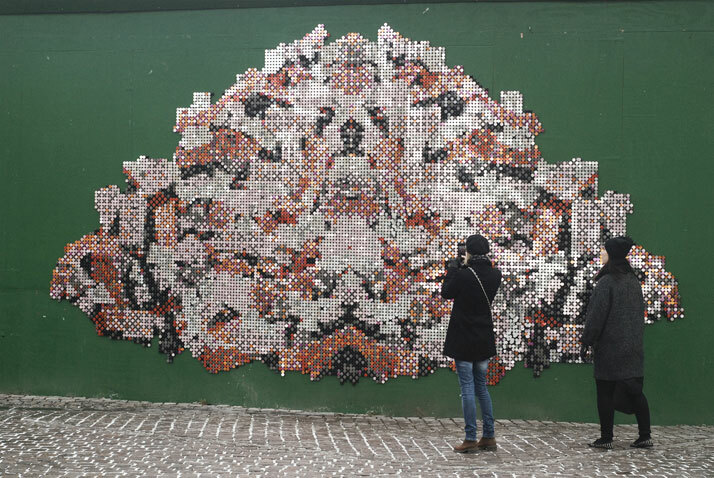 In 2011 another project titled ‘Byens Hegn - Cool Construction’ was launched by the Copenhagen Metro with the aim of making creative use of the big fences around the sites, to which creative minds were invited to contribute with their ideas. In late 2011, the Piles project was selected to be included in the ‘Byens Hegn - Cool Construction’ project. Piles by ÖRNDUVALD creates a counterpoint to the raw construction site and provides a sparkling contrast to the gritty construction work. The works also act as a reminder of the beauty and imagination that is at the heart of any undertaking which seeks to improve and develop a functional urban environment. Architects Pétur ÖRN Eyjólfsson (Iceland) andSøren Oskar DUVALD (Denmark) - who both graduated from The Royal Danish Academy of Fine Arts - have created a collection of mesmerising designs each measuring around 350 cm at the highest point and 660 cm at their widest. The designers have used a fascinating material called Air Display, which is used in commercial signs, made by BWSGermany; based in Kassel, Germany. 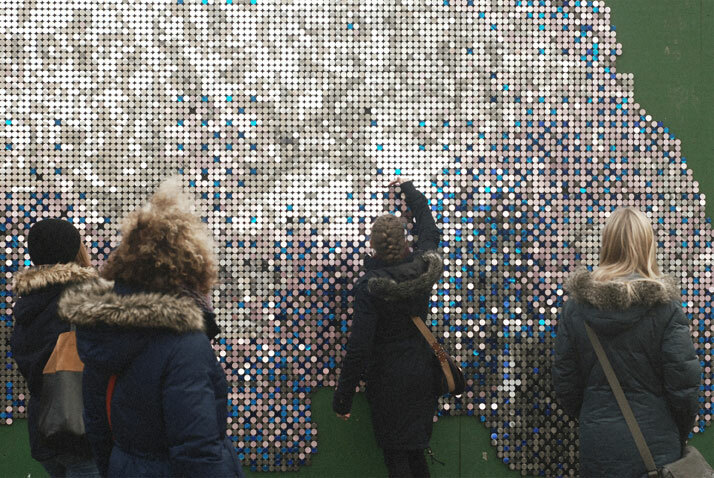 They feel both organic yet symbolic of the changes taking place around them, glistening in the changing light that basks over Copenhagen, catching the eye and intriguing those who pass by the sites of so much change. 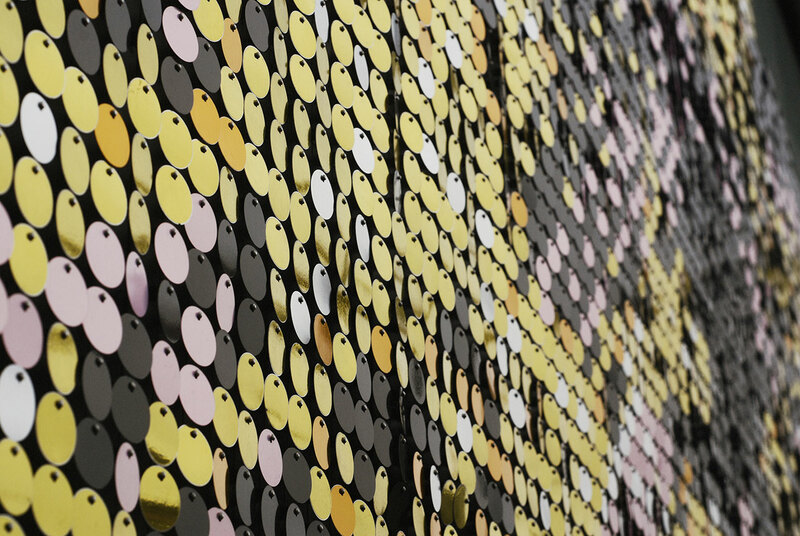 This project is symbolic of how transformation can offer an opportunity to present art that offers light and joy. These incredible structures can be admired and enjoyed as a beautiful new addition to the urban landscape and the manifestation of inspiring new ideas. 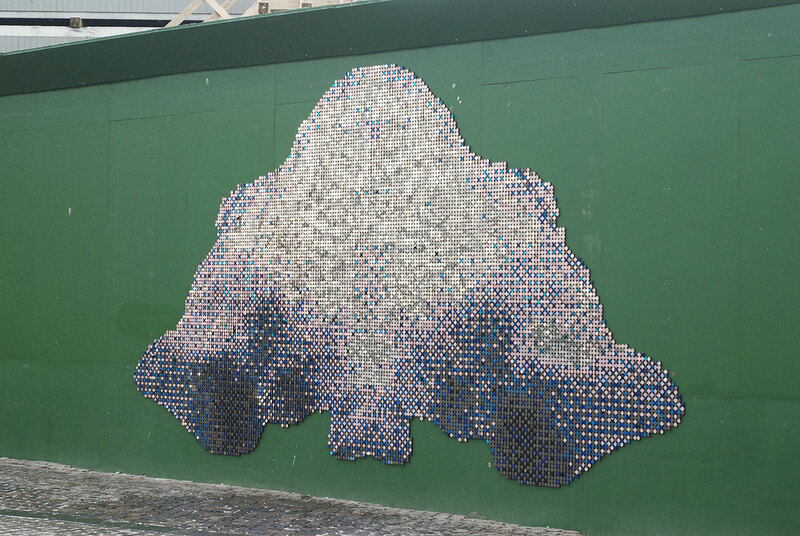 The Piles will be on public view at Kongens Nytorv-square, Copenhagen, Denmark until July 2013.